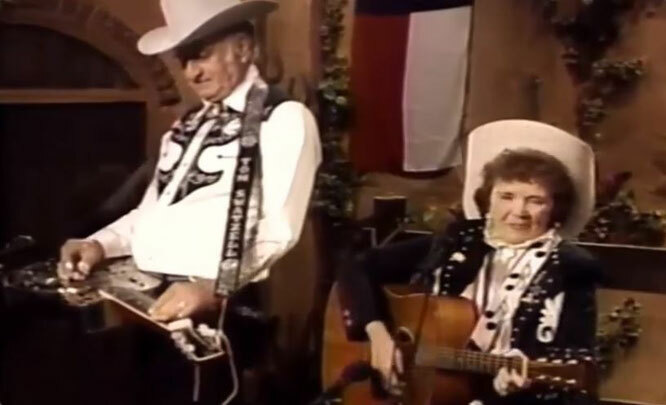 Patsy Montana performs "I Want To Be A Cowboys Sweetheart"
"I Want to be a Cowboy's Sweetheart" is a country and Western song written and first recorded in 1935 by Ruby Blevins, who performed as Patsy Montana. It was the first country song by a female artist to sell more than one million copies. 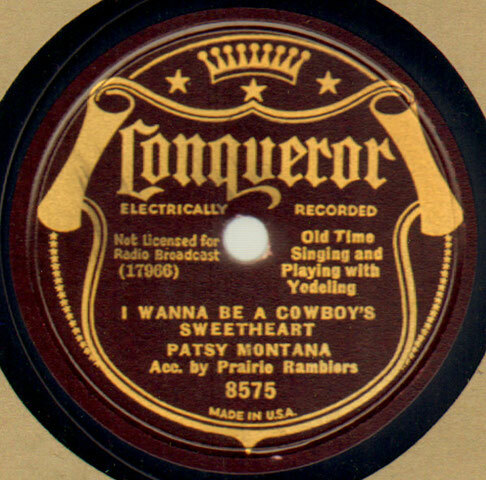 Montana wrote the song in 1934 when she was feeling lonely and missing her boyfriend; it was recorded a year later when producer Art Satherly, of ARC Records, needed one more song at a Prairie Ramblers recording session. Montana was the group's soloist at the time. Her song is based on Stuart Hamblen's western song Texas Plains: he is therefore credited as a cowriter. Patsy Montana embellished the simpler musical pattern of the original, especially with her yodeling. Patsy also used a lot of the original words: the song is somewhat of a feminine answer to its precursor.